More than 100 armed service veterans attended the USO’s RP/6 Veteran Transition Luncheon at CPS Energy’s Villita Assembly Building last week. The program provides personalized support services to help veterans and their families create a plan for life after military service as they transition into civilian life. 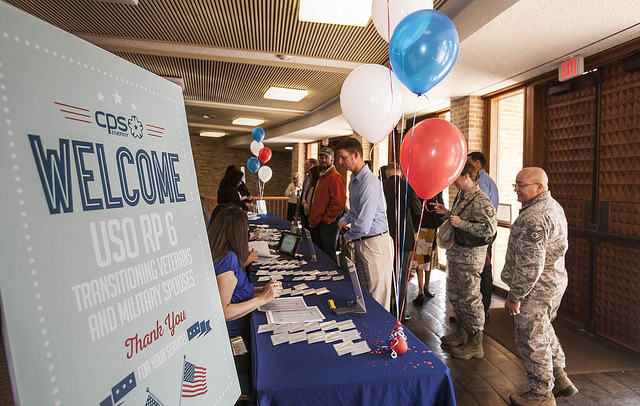 More than 100 veterans gathered to attend the USO RP/6 luncheon and training session last week. As the host for the monthly luncheon, CPS Energy highlighted the professional opportunities available and conducted several development workshops for veterans to sharpen their interviewing skills and learn about networking via social media. Adjusting to life outside the military can be challenging, as veterans accustomed to a regimen of strict discipline, intense teamwork, well-defined purpose and daily camaraderie face life’s next chapter. That’s why CPS Energy, which employs around 300 military veterans, partnered with the USO to host the event. CPS Energy’s President and CEO Paula Gold-Williams kicked off the program with a keynote that tapped into her family’s military experience. Williams compared CPS Energy’s mission to that of those who serve the military. “Our missions don’t stop. We serve the community 24/7/365,” she said, encouraging those in the audience to seek out appropriate opportunities at the country’s largest municipally owned electric and gas utility. 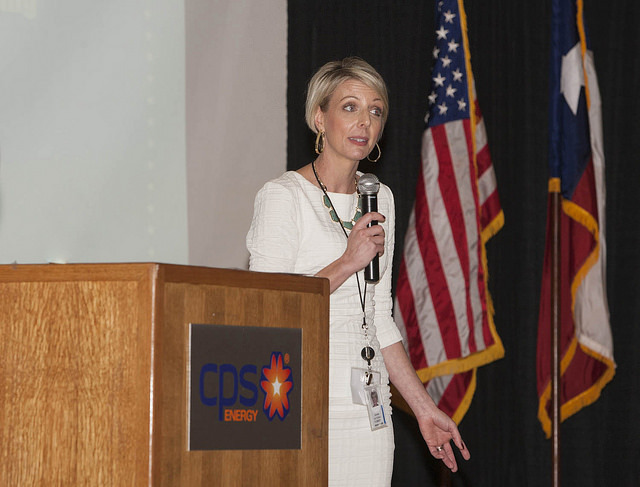 A prime example of such outreach is Aimee Victoria, an Air Force spouse for more than 16 years, who traveled around the globe before landing back in San Antonio to work at CPS Energy. The USO’s RP/6 luncheons are held monthly and hosted by local businesses. If you’re a veteran business owner and are looking for a new opportunity, visit the Bexar County Business Conference taking place tomorrow. President & CEO Paula Gold-Williams will talk about veteran-, as well as small- and diverse-owned business opportunities with CPS Energy as she keynotes the conference breakfast.